"I am very excited to pass on the critical thinking, debate, and persuasive writing skills that I learned through The Classical Historian program. Looking back, I can confidently say that my middle-school history classes changed my life by inspiring excitement about history, an interest in the process of argument and analysis, and an openness to new and challenging ideas. This impact touches every part of my life, including my academic experience as a Philosophy student, my career as a writer, and my social life in a world of divergent viewpoints. I have a love of learning that I acquired, in part, through home schooling, and I can't wait to pass this onto my students. Adam De Gree is our teacher of our online courses for junior high and high school students. Adam De Gree is a 22-year old Freelance Writer and recent Philosophy graduate from the University of California, Santa Barbara. He is not only the first student to graduate from The Classical Historian's middle school program, but according to John De Gree, in the area of Humanities, “Adam is one of the most academically-gifted students I’ve ever taught.” After passing through the tutelage of his mother, Zdenka, and his father, John, at the family home school, Adam went on to attend his local high school. In addition, he attained a perfect score on the 'Critical Reading' section of the SAT. As a leader, Adam was the Captain of his Cross Country Team and managed the local basketball gym. 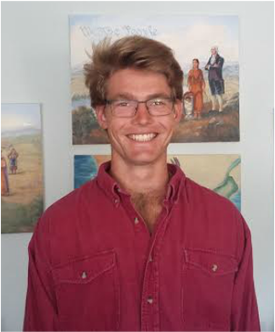 At UCSB, Adam studied Philosophy, a major he chose thanks in part to its emphasis on critical thinking. As an undergraduate, he enrolled in several graduate seminars above and beyond his degree requirements. In addition, he followed his interests into an independent thesis on Primitivism that integrated elements of History, Religious Studies, and Philosophy. Since starting college, Adam has been financially independent in the expensive location of Southern California. After a brief (painful) stint behind a cash register, he followed his interests and found himself steady work as a freelance writer. Writing has been his primary source of income for over 2 years, and it funded his 8-month journey through Europe, Asia, and Australia last year. (You can read about his journeys here.) He plans on writing and teaching for the next few years in foreign countries, alongside his wife, Tessa. 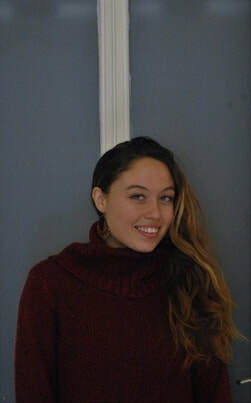 ​Tessa De Gree is our teacher of our online courses for elementary school. ​Tessa is a 23-year old English Teacher and recent Political Science graduate from the University of California, Santa Barbara. She is the eldest of three siblings raised in Los Angeles, California. Growing up, Tessa cultivated an appreciation for art and grassroots community organizing. Her passions led her to study both Dance and Comparative Politics at UCSB. As an undergraduate, Tessa participated in research with her professors and teaching English while studying abroad in Thailand. Tessa is currently living with her husband Adam in Czech Republic. She plans on dancing and teaching English overseas for the next few years, alongside her husband. Practice critical thinking and debate with The Classical Historian. Online classes begin in September!